Priced as a long term rental, 6 months or longer. Rent includes GEtax 4.5% plus electric. All other utilities included in rent. Including cable and WIFI. 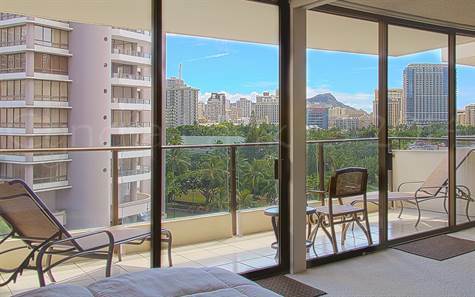 Located in Waikiki, one block to beach and shopping. Building features a heated pool on the 4th level plus ABC store and gift and surf shop on the ground level. Large two bedroom two bath apartment with washer dryer and lanai. Rent plus electric. Cable TV and WIFI included in the rent. Shorter term rates available. Min stay is 90 days for this building. King Bed in Master Bedroom with private full bath.